In traditional studies of democratization, elections are generally the end phase of a prolonged process of liberalization and political opening. However, in recent years political scientists have also entertained the idea that elections might actually be the starting point of a process of democratization. In foundational work on Africa by Staffan Lindberg, he contended that repeated consecutive elections could create self-reinforcing mechanisms that deepened democracy over time. This approach is intuitively appealing for an era in which elections are commonplace, yet many countries still fail to live up to democratic standards. And expectedly, this thesis has been subject to quite widespread replication, scrutiny, and criticism. In new research, now published online by the journal Democratization, I engage with the democratization by elections thesis in Africa, and argue that repeated elections can induce some forms of democratic behavior but face real limitations when formal presidential powers are strong. This is because under certain conditions strong presidentialism reinforces incentives for elections to become opportunities for clientelistic exchange, rather than moments of self-expression. Powerful presidents that control legislative agendas, access to political appointments, and the purse strings, might lead certain actors to behave more democratically during elections, but not necessarily to develop more robust notions of citizenship. This holds true in Africa because levels of economic development and inequality reinforce the role of clientelism as a central way elites and citizens access their government. A caveat is in order here first. If the democratization by elections thesis has been so heavily scrutinized (in Africa and elsewhere), what is there to add to the debate? Other studies have generated, at best, mixed results. For instance, in Latin America democracy was restored in the 1980s after periodic interludes of authoritarianism. Therefore, many of the indicators of democracy simply jumped back to their prior levels, and have in fact declined since in many countries. Most importantly, in many countries repeated elections seemed to reinforce rather than undermine authoritarianism. 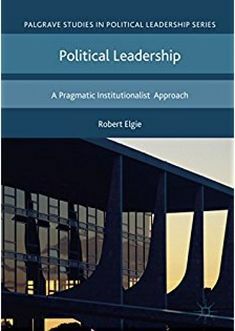 Referred to as electoral or competitive authoritarian regimes, in these cases repeated elections appear to offer incumbents the ability to reshuffle their coalitions, gather information about their levels of support, and generate international legitimacy. In one study of Africa, the authors found that democratization by elections could only truly be found in a handful of cases. The problem with previous studies is that they often mischaracterize what the democratization by elections thesis is actually about. Lindberg makes a crucial distinction between the “process of democratization” and a “transition to democracy.” Regimes can show improvements in specific indicators of democracy, while not necessarily transitioning to a new regime. Indeed, autocratic regimes can exhibit more or less democratic behavior. For instance, when actors participate more, compete more effectively, or appear to accept the legitimacy of the election process, this is a sign of democratic progress. Specifically, for Lindberg this is evidence of how elections create self-fulfilling expectations. Elections might also lead to improvements in other realms of democratic life like the protection of civil liberties. This indicates some form of socialization by elections, whereby citizens learn from election experience to demand voice in other realms of life. Using this more limited definition of democratization yields quite different results from previous studies. My contribution is therefore to stress which factors condition the impact of repeated elections on much more specific democratic outcomes. I gathered information on 679 African elections since 1990, and combined this information with data from the Varieties of Democracy (V-DEM) and Presidential Power (PRESPOW) datasets. These data offer new ways to explore both numerous democratic outcomes, and to compare and contrast the extent of formal presidential power across Africa. The V-DEM data includes measures of electoral participation, competition, and legitimacy. But, it also includes indexes of many non-electoral elements of democracy like the protection of civil and private liberties, civil society participation, and equal protection under the law. I controlled for numerous other factors like executive years in office, levels of economic growth and development, foreign aid, ethnic heterogeneity, religion, and historic experiences with democracy. A key utility of this study is its use of formal measures of presidential power in Africa. In many studies of African politics the focus has often been on the various ways in which presidents violate constitutions and operate through parallel informal institutions. This approach is mistaken for a number of reasons. First, it is equally clear that African presidents routinely amend constitutions, which means that the formal powers of presidents are not trivial. Second, using formal measures of presidential powers limits the risk of endogeneity in a study. For example, if a president unconstitutionally repeals legislation, this is often coded as both a violation of the democratic process and stronger informal presidential power. It is difficult to know what factor is influencing what factor. By focusing on the formal attributes of presidents, this risk of conflation is mitigated. The analysis shows that improvements in the election process do not depend on levels of presidential power. Using Lindberg’s criteria, with more experience African elections become more participatory, competitive, and legitimate. This validates the notion that elections reinforce actors’ expectations and conditions them to accede by the rules of the game if they want to get ahead. On the other hand, presidential power significantly conditions the impact of repeated election on civil and private liberties, civil society participation, and equal protection under the law. When presidents are formally strong, repeated and consecutive elections limit the ability of elections to socialize more participatory and democratic behavior. These results hold up to various statistical models, and even the inclusion of a measure of the unfairness of the election. This corresponds with expectations regarding the intersection of presidential power and clientelism in Africa. When levels of access to a system of spoils define the political game, and when presidents control that access, elections become devoid of deeper civic meaning. Rather, actors decide to accept electoral processes because fighting the system keeps them excluded. These results do not reject the democratization by elections thesis, but rather shed light on its limitations. Moreover, it also corroborates that the problem of democratic progress is not only due to the fact that elections themselves are unfair. In many cases the playing field remains heavily tilted toward incumbents, but clientelism and powerful presidents exist in diverse settings and exert an independent impact on democratic outcomes. It is not enough to just get the elections right, the disproportionate formal powers of presidents need to be tempered too. This entry was posted in Africa and tagged Africa, Democratization, elections, Presidential Power on January 29, 2018 by Yonatan Morse. Rulers cannot rule alone. This simple wisdom is oftentimes forgotten with regard to Putin’s Russia. This blog post summarises a paper presented at the BASEES Annual Conference in Cambridge that attempts a systematic inquiry into the institutionalization of Russia’s ‘institutional presidency’ – the Presidential Administration – between 1994 and 2012. It argues that partial institutionalization over time contributed to an increase in presidential administrative power. But as personalism and proceduralism coexist, presidents remained weak and debilitated at the same time. The U.S.-American presidency remains the best-studied example of a presidential administration to date. After early presidents still had to hire staff out of their own pocket, Congress finally granted funds – albeit only for a single clerk. Since Franklin D. Roosevelt and the creation of the Executive Office of the President in 1939, the White House staff has steadily grown into a fully-fledged bureaucratic organization. In the U.S. literature on the ‘institutional presidency’ – the process of staff growth, functional specialization, increasing complexity and routinized patterns of organizing work – is referred to as ‘institutionalization’ and usually contrasted to Neustadt’s seminal, but president-centered, personalized perspective on presidential power. We know quite a lot about the complexity, centralization, politicization and unilateralism of the U.S. ‘institutional presidency’, but not very much about ‘presidential centers’ elsewhere. Particularly for post-Soviet countries, and the Russian Federation more specifically, much remains to be explored. This can be partly ascribed to a lack of readily available data, yet this is also predicated on the tendency to focus on executive-legislative relations on the one hand, and a president-centered leadership bias on the other. Moreover, Russia scholars have made numerous contributions to the ‘Institutions under Authoritarianism’ literature, but so far they limited themselves to the legislature, parties, elections, or center-region-relations. My research aims to open up the black box of an “institutional presidency” under authoritarianism: I analyze the ‘institutionalization’ of ‘the Kremlin’ – or more precisely the Presidential Administration (PA) – by taking a longitudinal view from 1994 until 2012, a period which spans the three presidents Boris Yeltsin, Vladimir Putin and Dmitry Medvedev, and ten chiefs of staff. This strategy was chosen, among others, to investigate in how far core characteristics of the PA survive turnover of presidents and chiefs of staffs. To do this I applied a framework that was initially developed by Samuel Huntington who understood institutionalization as an “increasingly stable, valued, recurring patterns of behavior”, and which was later applied to the U.S. and Latin American ‘institutional presidencies’ (Table 1). Scholars have attested a high degree of personalism to Russian governance both in the 1990s and 2000s. In the 1990s the PA defied “traditional categories of organizational analysis” as it mixed “hierarchical bureaucracy” and a “loose confederation of offices” (Huskey 2016). Furthermore, Yeltsin’s approach to organizing advice in the administration “was individualized, anti-procedural, and anti-institutional” (Breslauer 2008). In the 2000s, a high degree of regime personalization, neopatrimonialism and patronal politics should also present a major obstacle to institutionalization. However, if we follow the logic of the literature on stable authoritarian regimes, one would expect that autocrats strive to reduce uncertainty of future outcomes by means of stable patterns recurring over time. Huskey sees the Russia of the 2000s as a technocratic authoritarian regime with an ever increasing “bureaucratization of politics”, hence concomitant to the party system or executive-legislative relations one should also expect a certain degree of institutionalization in the PA.
My research shows that, unsurprisingly, both proceduralism and personalism persisted, but their proportion changed over time. In my view, a strong case can be made for at least a partial institutionalization of the PA, mostly thanks to an increased autonomy, regularized procedures and more stable structures in the adaptability and complexity indicators. With regard to autonomy, a tendency towards a “progressive independence of the executive power” (Schmitter 1976). This can be illustrated by the swelling of the PA’s share of the annual state budget in comparison to other state organs. While in 1994, both the PA and the Duma’s share were comparable at about 0.1 percent, by 2012 the share of the PA grew to around 0.7 percent while the Duma’s was more than 17 times smaller (0.04%). Until 1999 the difference was not that large, yet the years 1999 – 2003 marked a transition period which suggests that the rise of United Russia as a dominant party played a significant role in this. Recruitment patterns of PA staff were used as a second indicator to find out whether staff was hired and promoted from the outside of the PA, or by means of a more closed hiring system from the inside. The challenge was to choose a category of staff that existed for the whole period of investigation. Therefore, I collected a complete data set of all presidential representatives in Russia’s regions for 1991 and 1999 and Main Federal Inspectors (MFI), who after the 2000 federalism reform fulfilled approximately the same task. Figure 1 shows that until 1999 Federal Representatives were almost exclusively recruited from outside the PA, most frequently with a background from the federal parliament, or regional executives or legislatures. However, by 2004 more than one third of MFI boasted experience within the PA apparatus of federal representatives before they were promoted to this position. For the adaptability indicator, a complete set of all units of the PA was compiled with information on their duration of survival over time. Among the 100 units in the set, only seven “core units” survived for the whole period of investigation. Overall, I find that in the 1990s almost four times as many units were created as in the 2000s, after Putin came to power the units survived on average twice as long as under Yeltsin. Also, electoral cycles, and with them the rotation of chiefs of staff in proximity to elections, became crucial for the survival of units. For complexity and functional specialization, organigrams were collected from various sources such as archives, presidential decrees and media. These schemes give an idea how structure “shapes the kind, caliber, and amount of information presidents receive on policy matters”. Figure 3 provides just one example to illustrate the approach: 1996 three parallel hierarchies existed within the administration: The Service of Aides (upper left), the security pillar which includes the Security Council (upper right) as well as the general management pillar subordinate directly to the chief of staff (lower middle). The legendary Service of Aides was soon to abolished and never to be revived, among others because of the competing hierarchy and direct information channel it created paralleling the one of the chief of staff. Overall, it can be posited that at the latest by 1998 a consolidated structure was achieved by excluding some major units that had made the organization exceedingly complex. After that time, merging and adding new smaller units by layering were the main strategies of “institutional gardening” applied. And finally, coherence refers to unity and consensus, and is operationalized as rule-following and compliance. For this purpose, I compiled annual implementation rates of presidential orders (Porucheniia Prezidenta) from internal statistics of the PA’s own Monitoring Department. Stunningly, for the 2000s only between 40 and 60 percent of presidential orders were implemented by the addressees of these orders. In other words executive actors oftentimes resist Putin’s policy initiatives. While even in Western democracies it cannot be assumed that unilateral executive acts are self-enforcing, in Russia this can be explained by bad governance and “debilitated dirigisme”: the “failure of an activist state”, or in this case an activist president, to control its supposedly subordinate agents. So where does this leave us? In his seminal work on authoritarian Chile Pablo Policzer remarked that “rulers cannot rule alone”. This might sound a bit simplistic at first glance, but is highly relevant for Russia. Presidents – be it Yeltsin, Putin or Medvedev – were only as powerful as their administrations allowed them to be. Especially Vladimir Putin who is oftentimes portrayed as seemingly omnipotent oftentimes winds up being impotent after all, in particular when other actors need to be empowered to get things done. Due to a partial institutionalization of the PA, the ‘power over’ – its organizational and coercive aspects – increased, but not the ‘power to’, the ability to govern proactively. Fabian Burkhardt is completing his PhD entitled “Presidential power and institutional change: A study on the presidency of the Russian Federation” at the University of Bremen’s Research Centre for East European Studies. He is a member of the Graduate School for East and Southeast European Studies in Munich. Currently, he is also a fellow at the Eastern Europe and Eurasia Research Division at the German Institute for International and Security Affairs in Berlin. More information about his research can be found here (https://lmu-munich.academia.edu/FabianBurkhardt). He tweets @fa_burkhardt. This entry was posted in Russia and tagged Presidential Administration, Presidential Power, presidential staff, Russia, United Russia, Vladimir Putin on May 9, 2017 by Philipp Köker. Some observers argue Ukrainian President Petro Poroshenko has been determined to concentrate power in his own hands ever since his May 2014 election and has either failed or not seriously tried to eliminate high-level corruption. Yet nearing the end of his third year in office, he clearly lags far behind where his predecessor, Viktor Yanukovych, was three years into his presidency. Indeed, Ukraine in 2017 remains a much more politically open place than it was in 2013. Why has this been the case? While leadership styles are clearly part of the story, there is a strong argument to be made that constitutional design is an important part of the explanation. When Yanukovych first came to power, he used his fresh mandate not only to get his own person installed as prime minister (something Poroshenko also achieved) but to establish a strongly presidentialist constitution, one that signaled his clear dominance over the parliament and all other formal institutions. This signaled to Ukraine’s most potent oligarchs and other power networks that Yanukovych was the unquestioned dominant authority and complicated their efforts to challenge him; even if his opponents had managed to win the 2012 parliamentary elections, which they did not, even this position would not have put them in a position to significantly limit presidential power. Poroshenko’s election, on the other hand, emerged partly out of the discrediting of that very presidentialist model, which with the rise of the Euromaidan came to be blamed for fostering overweening presidential power and its use of brutal force against its own people. Indeed, one of the first moves of the victorious revolutionaries, weeks before Poroshenko’s election, was to restore the constitution that had been in place prior to Yanukovych’s 2010 election. This constitution establishes a division of executive power between the president and a prime minister who is primarily beholden to parliament. Thus while Poroshenko surely would have liked to have more formal power, he was not in position to capitalize on his election win to call for a newly presidentialist constitution. As a result, Poroshenko’s efforts to augment his own power have been limited by a constitution that leads the country’s political forces to see him as not necessarily the dominant power. While the parliament did vote to confirm his preferred prime minister, his parliamentary majority is at best fragile and does not represent a strong control over parliament, and there is a strong likelihood he could lose control of the next parliament given current patterns of public support. With parliament (and by implication the prime ministership) a major prize, Poroshenko’s opponents thus find it easier to envision a successful move against him even if they cannot capture the presidency itself. And this leads others to be more cautious about placing all their political and economic eggs in Poroshenko’s basket, which further limits his authority in the country. My sense, therefore, is that Ukraine’s being more democratic about three years after Poroshenko than it was three years after Yanukovych is more about constitutions than about presidential beliefs or capabilities–even in a country like Ukraine, where the rule of law is weak and people frequently question whether constitutions matter at all. This entry was posted in Europe, Ukraine and tagged Constitution, president, Presidential Power on February 28, 2017 by Svitlana Chernykh. In April 2016, I was asked by the Austrian newspaper, Die Presse, to provide some general thoughts on presidents and presidential power in the run up to the first round of the presidential election there. The FPÖ candidate, Norbert Hofer, was expected to do well and I was asked about how the role of the president might change if he won. The article in Die Presse summarised my thoughts and is available in German here. With the re-run run-off election due to be held on 4 December and with the FPÖ likely to win, here is the full transcript of the comments I returned. They seem as relevant now as before except that the traditional situation in Austria is perhaps even more likely to change if Hofer is elected than was envisaged in April. Given the context of the election, if he wins he may wish to flex his presidential powers. Moreover, the presidency itself is also perhaps more likely to be the subject of controversy. Which of the powers of a president have the greatest political significance in your view? Presidential powers are always dependent upon context, particularly the party political context. For example, the power to dissolve parliament seems like a really important constitutional power. However, if the president’s party is poorly placed to do well at the election or if an election has been held only recently and another election is not going to change the situation, then the power to dissolve the legislature becomes almost a dead power. In effect, the president cannot use it. The same goes for the power to call a referendum. Presidents tend to call referendums when they know they are going to win them. If they are worried that they will lose, then they rarely risk calling one in the first place. So, the power in effect disappears. Two important powers are the power to appoint and dismiss the PM. The power to appoint the PM seems very important. However, as before, often presidents have little choice. The election may have returned a party or coalition with a legislative majority. The party or coalition is likely to have its own Chancellor candidate. So, the president can often do little more than choose the PM that the parties have already agreed on. Only if there is a very fragmented party system, or if the government collapses and there is no clear alternative PM can the president exercise a personal influence. Clearly, this circumstance can arise, but it usually rare. By contrast, the power to dismiss the PM can be important. This situation can allow the president to take the initiative, especially if the PM is unpopular. The risk is that it brings the president into conflict with the parties in the legislature. Indeed, this power is one that is not recommended for young democracies. Do you agree with the view that the actual power of a president depends on whether he controls (or is able to neutralize) parliament? Is it true that in a semi-presidential regime, a weak parliament is the precondition for a strong president? Again, the exercise of power is a mix of constitutional powers and political context. France is the classic example here. In 1958 the constitutional powers of parliament were greatly reduced and by the mid-1960s the president was established as the main political leader of the country. So it looks as if a weak parliament was a necessary condition for a strong president. However, in France presidents have tended to be backed by a presidential majority in parliament. This majority has been loyal. The majority has not wanted to use any of parliament’s remaining powers to block the president. Even when the majority has been opposed to the president during periods of cohabitation, power has simply shifted to the prime minister. Parliament has not become any stronger. So, yes, the constitution matters. Parliaments can have more or less powers in that regard. However, the relationship between presidents and parties is equally if not more important. In practice, a weak parliament is often the result of a particular party political context, just as much as if not more so than the constitutional situation itself. Of course, the flip side can occur too. If the party political context is confused, then parliament can become strong, usually viz. the PM and government, though, rather than the president. That said, if parliament uses it power to vote down a government, then the president can be called upon to make a choice about a new government. If you assess the constitutional powers of the Austrian president, could he – given different political circumstances – become as strong an institutional figure as the French president? What would be necessary for this to happen? Austria is a very unusual case. Iceland is perhaps the only other country like it in terms of the presidency. In both countries, the powers of the president are strong relative to most other semi-presidential countries. For example, the Austria president probably has more constitutional powers than the the French president. The Austrian president can dismiss the PM and government, whereas the French president, according to the constitution at least, cannot. In practice, though, the situations in the two countries are reversed. In Austria, the president is a pure figurehead and has almost always simply executed the decisions that the government and parties have wanted. True, some presidents have been more willing to criticize the government than others, but none has used their powers independently. By contrast, the French president is seen as the leader of the presidential majority in parliament. This means that the president has usually been able to appoint a loyal prime minister who will carry out the president’s wishes with the backing of the majority. As the leader of the majority, the president has also had the de facto power to change the PM even though this is not in the constitution, whereas the Austrian president has not exercised that power, even though it is in the constitution. For the situation in Austria to change, the political context must change. Up to now, parties have not chosen candidates who are likely to see the presidency as an active institution. This can be seen in the age and profile of previous presidents and presidential candidates. They have tended to be elderly figures, who have often had an important party career in the past but who are no longer senior party decision-making figures. Alternatively, they have been largely independent figures who have been adopted by political parties. In neither case have they had the party political authority to act independently. In this context, it is not surprising that they have been figurehead presidents. Moreover, there is also the historical factor in Austria. This has weighed against the desire for an active presidency. However, the political context can always change. If the president were to come from outside the governing parties, then this could change the situation. The new president might feel that s/he has a mandate to act. Also, if there was now a mood for a more active presidency to address the country’s difficult issues, then a new president might feel justified in using his/her powers. Let’s go back to the Icelandic case. Here, it was very common to hear that the president’s powers were lost. The president was a pure figurehead. Nothing would change that. Powers would never be used. However, during the financial crash the president vetoed government bills on two occasions, leading to two referendums. Suddenly, the powers that some people had assumed had been lost came back. In fact, they had never gone away. It was just that the political context had changed and now the president was in a position to use them. The context in Austria may change too. Is there any institutional aspect or authority that makes the Austrian president extraordinary in comparison with other European presidents (e.g. the right to freely choose the prime minister? Other countries have this power. For example, the French president has the power to nominate the PM freely. It is worth noting that in contrast to some countries the Austrian president does not have long list of clearly defined executive powers. If the new president wanted to be more active and if the president was from a party that was not in government, there may be the potential for the constitutional powers of the president and government to be disputed. In this event, the courts might be called upon the interpret the constitution. This has happened previously in countries like Romania and Poland. So, the presidency could become a source of constitutional debate. Again, though, this would require a change of political context. Do you think that directly elected presidents are (ceteris paribus) more powerful/influential than indirectly elected presidents, or are other factors (such as the configuration of the party system or the authority of the office-holders) of greater significance? Direct election is a necessary but not a sufficient condition for a strong president. It is true that directly elected presidents tend to be more powerful than indirectly elected ones. For example, the directly elected French and Romanian presidents are more active than the indirectly elected German or Latvian presidents. That said, there are some very weak directly elected presidents. Austria is one case. Ireland and Slovenia are others. There are also times when indirectly elected presidents have been influential in countries like Italy. So, direct election is not a guarantee of power. Moreover, if we look at Slovakia and the Czech Republic, both of which changed their constitution and shifted from an indirectly elected president to a directly elected president, we see that the role of the president scarcely changed pre- and post-direct election. In other words, direct election has not made much difference to the exercise of presidential power in either country. Again, what matters in the mix of the constitutional situation and the political context. The combination of a directly elected president, an important set of constitutional powers, and a political context where the exercise of those powers is seen as both legitimate and desirable can lead to a very influential president. In practice, that combination of factors has been relatively rare in post-war Europe. France is the obvious case where they have combined on occasions. In most cases, though, even when there has been a directly elected president, then either the president has not enjoyed very many powers, or, more usually, the party political context has not been particularly conducive to the exercise of those powers at least in the long-term. This entry was posted in Austria, Europe, Semi-presidentialism and tagged Austria, presidential election, Presidential Power, semi-presidentialism on November 25, 2016 by Robert Elgie.